November 29, 2016, New Delhi, India: The availability of functioning ATMs doesn’t seem to be improving. Banks have been claiming that most of their ATM network is back online but if the citizen pulse is to be believed, 43% people who tried to withdraw money from an ATM were unable to get money between November 25-28th, compared to the 39% between November 18-20th. This percentage stood at a staggering 66% during the 1st weekend of demonetisation, i.e. between November 11-13th. Out of the 8229 citizens that voted, approximately 29% citizens found ATMs not working this past weekend as compared to a week ago when 26% citizens found the ATMs non-functional in the LocalCircles Citizen Pulse on ATMs. Another 11% said they had very long wait times anywhere between 30 minutes upto 4 hours suggesting that getting cash is still a challenge. 29% said they could get cash within 30 minutes while 33% did not visit an ATM. 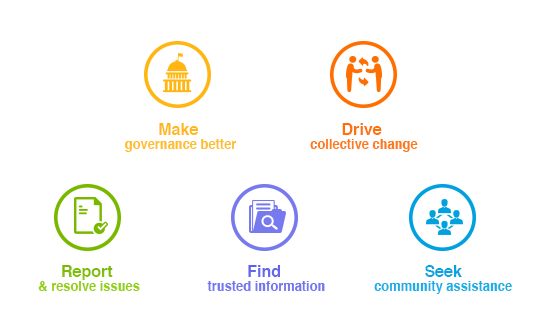 This pulse check was done based on citizen experiences between Nov 25-28th. 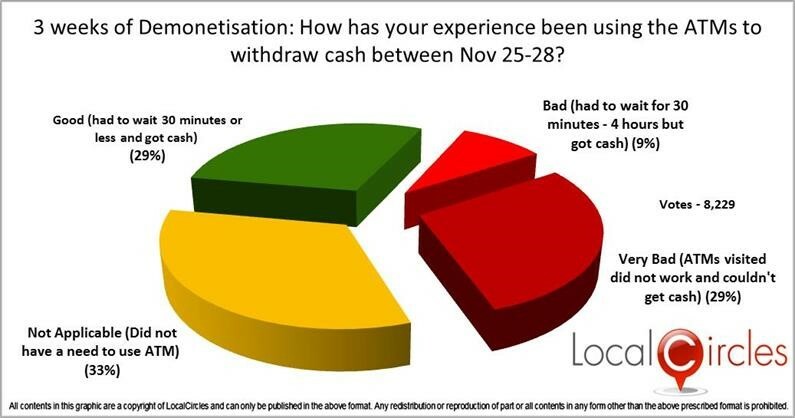 If only those who tried going to an ATM are considered, 43% did not find the ATM functional, 43% got cash within 30 minutes while 14% had to wait between 30 minutes-4 hours to get cash. Per the citizens and bank officials who are part of various circles, many ATMs still do not have the cash as many banks are only receiving one fourth of their cash requirements from the back end. Withdrawals from the bank are being given a higher priority in most cases and ATMs are being replenished with whatever is remaining. In some other cases, ATMs are not being replenished at all because the ATMs are at stand alone locations or there isn’t enough security. A follow on pulse check will be conducted by LocalCircles over the coming weekend to gauge if the trend improves.